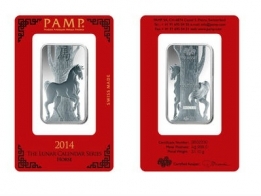 PAMP Lunar series silver bars are available in 10 gram, 1 ounce and 100 gram sizes. 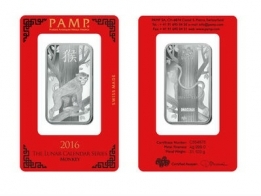 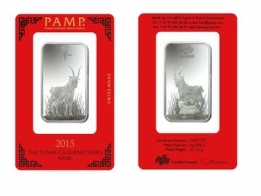 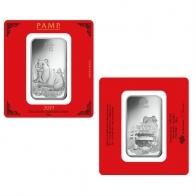 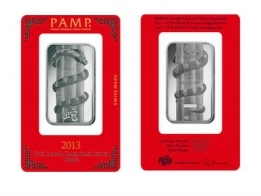 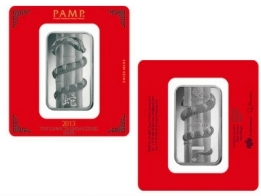 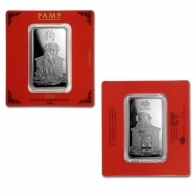 The Lunar series of silver bars from PAMP feature a red certicard. 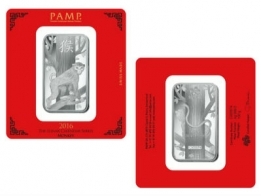 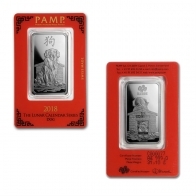 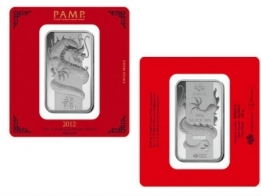 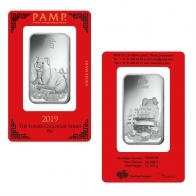 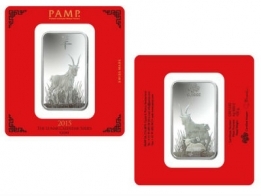 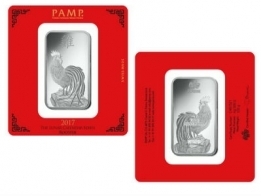 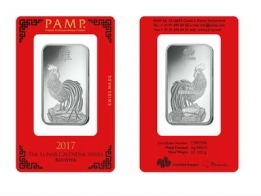 SuisseGold.com sell the full range of PAMP silver lunar bars, including the Year of the Dragon, Year of the Snake, Year of the Horse, Year of the Monkey, Year of the Rooster and Year of the Goat. 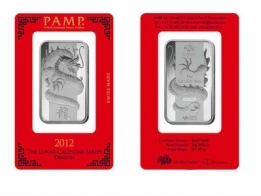 The PAMP Lunar series bars are available in gold and in silver.